Collaborative Divorce in New Jersey is an excellent family law option and is the process of getting divorced without having to appear before a judge even though it still involves the use of attorneys. The benefits are many but among the largest are avoiding the risks involved with leaving all the final conclusions to a judge and the high costs associated with traditional divorce court. Couples or domestic partners work with a team of mediators or legal professionals such as therapists, lawyers, custody counselors & financial advisers to agree to details on the divorce or separation in writing. This allows both parties to have legal protection without all the expense and stress of normal court proceedings. In New Jersey, the collaborative divorce process is non-adversarial. There is no direct fighting of one partner vs. the other to gain an edge or advantage. In every situation, there are going to be difference of opinion and agreeing on everything is not expected. However, during the collaborative law process, the team of professionals will help you obtain solutions and compromises to settle these differences to reach amicable conclusions that both parties can live with and in fact be happy with. TLC Mediation is experienced in moving this entire process forward smoothly and efficiently. For starters, all parties involved (spouses or partners) agree to resolve all issues outside of court and must sign a legally binding contract attesting to this fact. In New Jersey, one of the benefits is that answering subpoenas, testifying before a judge or taking depositions is completely avoided. The foundation of this process being successful is that partners agree to be reasonable, cordial, & treat one another with respect. Respecting one another during this process is critical to success. Truthful and open communication and release of information pertaining to the divorce is also vital. Secrets and hidden agendas will derail the collaborative divorce process quickly. Each partner much trust that the other is going to be open and even possibly reveal certain things that may have been secret during the marriage. If you feel that your partner will not be forthcoming during this process or will be deceptive and not forthcoming, pursuing a regular divorce where discovery and other legal methods may be required. Any professionals, consultants, CPA’s, etc. that are used to during this process are to remain neutral. The objective is to come to a mutually beneficial or agreeable conclusions and should the process break down, they cannot be used later in an actual court proceeding. Remember, we are trying to avoid a time-intensive, highly combative situation and all the aggravation that goes along with it. Lawyers, if used, understand collaborative law and its objectives. Each party is free to meet with their attorney prior to the actual collaborative divorce meetings in order to prioritize and discuss their specific agenda items that are most important to them. It is much less confrontational and finding middle ground is the goal, not fighting for every single advantage. In other words, they are hoping to achieve win-win outcomes instead of win-lose outcomes. In this way, they are considered “client advocates” to obtain what is fair and equitable. Remember, both parties agreed to be “reasonable” at the very beginning. This is wise, because even in divorce court, rarely does anyone get everything they want and many times both parties walk away very unhappy. When the smoke clears, had cooler heads prevailed, collaborative law would have accomplished a better result, with far less emotional and financial resources being spent. During collaborative law, if neither party can come to an agreement, court is then back on the table as an option and both parties are back at square one including the withdrawing of both attorneys from the case. This actually can be a good thing as it is a motivator for the attorneys to reach a successful conclusion. When everyone involved has the same goal and objective, many wonderful results can be obtained. In addition, if there are certain elements of the divorce that parties can agree on, then those issues can be settled during this process and the issues of disagreement can be moved to court which is still a big time-saver. Respect, honesty, trust, openness, and experienced divorce professionals seeking mutually beneficial conclusions will make collaborative divorce work well. When you have all these elements, finding solutions, even creative solutions to resolve disputes is far better than rolling dice in court and potentially spending a small fortune. Collaborative law is right for you if your situation constitutes the elements outlined above. It is not right for everybody. There are situations that absolutely will not fit into the collaborative divorce option. Highly contested child custody divorces would be such an example. The courts are sometimes the only option and that is why they are also necessary. 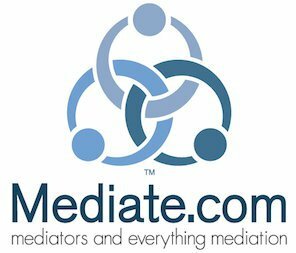 Divorce Mediation may be a better solution as well especially if couples don’t want lawyers involved and want a simple and time expedient solution. If you need more information or want to discuss more to ensure collaborative law is the right solution for you, TLC Mediation is here to assist you. TLC Mediation is proud to have built a service dedicated to helping couples move past these choppy waters and into the next phase of their lives with as little damage as possible. Please contact us to answer any questions you may have or schedule a consultation.